Now is the perfect time to grow your business efficiently! This package deal is a great opportunity for you as an individual or small business owner to get more exposure, without the huge costs of traditional website building. My WordPress implementations capitalize on partnerships and the latest tools available to create dynamic web exposure with unprecedented efficiency. Multiple (up to 10) static pages and a dynamic blog page. Intuitive Content Management interface so you can easily make future changes yourself. Fully hosted Email/Calendars/docs, for your domain. Chris Menné is a Boulder area Psychotherapist specializing in end-of-life counseling for the aged, terminally ill and their families and loved ones. Chris wanted his website to be a comfortable place for people to learn more about the work he does. 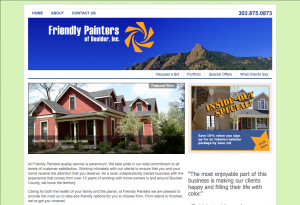 Friendly Painters of Boulder is a regional, Eco-friendly residential and commercial painting service company. Friendly Painters of Boulder is looking to compete online for local business. This new WordPress site is a significant improvement on SEO performance and allows the Friendly Painters team to easily post new information and updates to their site. 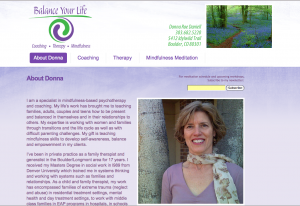 Donna’s old, static HTML based website was upgraded with a new, dynamic WordPress based site. Major improvements made to the sites look and feel, SEO, and the addition of fully functioning Content Management via WordPress. 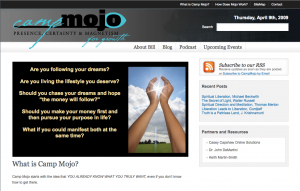 CampMojo.com is a brochure site, desiged to give online presence to the already successful series of workshops and trainings facilitated by Bill Brakemeier. 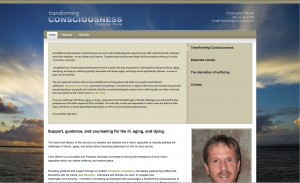 New website launched for Bill Brakemeier, expert in personal development and integrating purpose with actual, tangible life strategies. Camp Mojo is a 7 week program designed to bring out your deepest purpose and get you clarity around your values, strengths, and opportunities. A bootstrap effort, the budget for Three Trails West required extreme efficiency and innovation. 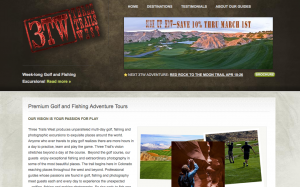 Using existing online tools and open source software, Casey worked with 3TW to craft a complete system allowing them to launch their business and begin filling Adventure Vacations in under 2 weeks. Favorite designer Evan Lentz created a striking logo. 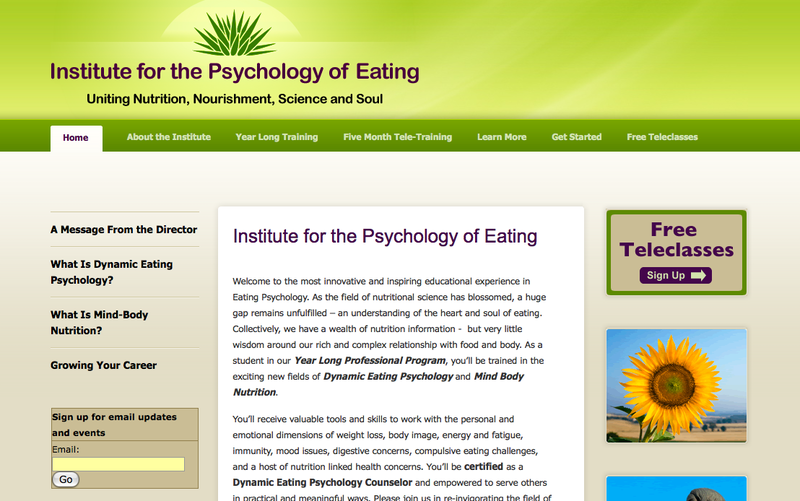 Marc David wanted to take his successful teaching and writing career to the next level by creating a school to disseminate his groundbreaking work on the Psychology of Eating. 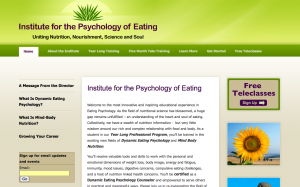 Casey oversaw the process of enlisting a designer to craft the logo and website look and feel for psychologyofeating.com. Casey also facilitated the process of finding the right development approach for the website and the biding and selection process. We agreed to go with a customized design built on the Joomla CMS environment allowing for robust website functionality, content management capability and budget conscious pricing. Casey also laid out a dynamic online marketing plan for the Institute as it builds contacts and enrolls students in its yearlong study program. Jack Schacht was looking to develop a business online based on sharing information about environmental awareness from a unique perspective. GreenZone online is the intersection of Liberal and Conservative, where great ideas are the only agenda. 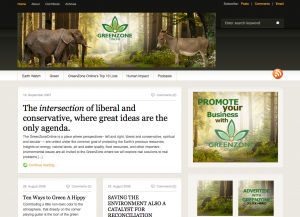 Casey helped GreenZone with a Branding overhaul and an upgrade to the blog news website. He facilitated the implementation of a premium WordPress template with help from creative designer Evan Lentz. Casey also advised on podcast strategy and growth strategy for GreenZone Online.